Combine all Spiced Salt ingredients; mix well. 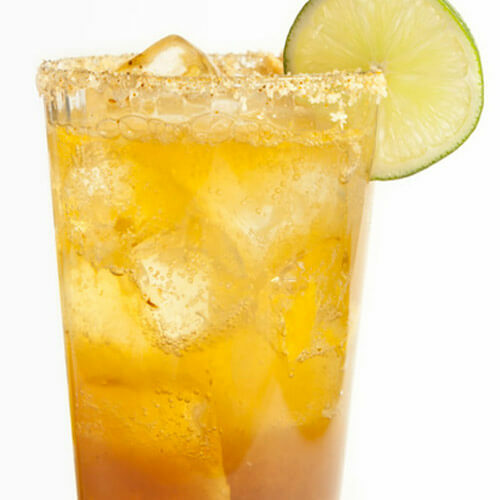 Fill a pint glass with ice and rim with Spiced Salt. Add remaining ingredients to rimmed, ice-filled pint glass; pour beer in last. Garnish with lime wheel. Serve remaining beer on side.